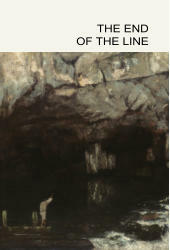 Title: The End of the Line Author: Neil Hertz Series: Critical Studies in the Humanities Imprint: The Davies Group, Publishers soft cover 328 pp. $28.00 US ISBN 978-1-888570-38-0 May 2009 First published in 1985, as part of the revival of interest in the notion of the sublime, The End of the Line takes Longinus’s inaugural treatise as its point of departure, examining its passages of verbal intensity for what they may reveal of literary procedures more generally. The earliest essays are readings of classic instances of the eighteenth-century and Romantic sublime, where one would expect to find condensed and high-powered moments, entanglings of a writer’s thematic concerns with issues of epistemology and rhetoric. The interpretative procedures brought to bear on such passages in Longinus, Milton, Kant and Wordsworth are then tried out on less obvious instances of the sublime—on the nominally Realist fiction of Flaubert and George Eliot, on the political rhetoric associated with fears of violent revolution, on some texts of Freud’s (his account of the uncanny, his case history of “Dora”), and on contemporary academic anxieties about plagiarism. In this augmented edition, Neil Hertz has added two more recent essays, one on questions of memory and inscription in Descartes and Samuel Johnson, the other on the development of an idiosyncratic notion of sacrifice in the writings of Paul de Man, from his wartime Belgian journalism to his post-war interest in the criticism of William Empson. Contents Preface 1. A Reading of Longinus 2. Wordsworth and the Tears of Adam 3. The Notion of Blockage in the Literature of the Sublime 4. Flaubert’s Conversion 5. Dr. Johnson’s Forgetfulness, Descartes’ Piece of Wax 6. Recognizing Casaubon 7. Freud and the Sandman 8. Dora’s Secrets, Freud’s Techniques 9. Two Extravagant Teachings 10. More Lurid Figures: De Man and Empson 11. Medusa’s Head: Male Hysteria under Political Pressure Postscripts, 1985, 1990 Response from Catherine Gallagher Response from Joel Fineman In Reply 12. Afterword: The End of the Line Notes Index Author Neil Hertz taught in the Cornell English Department (1961–82) before joining the Humanities Center at Johns Hopkins, where he taught from 1983 to his retirement in 2005. He is the author of George Eliot’s Pulse (Stanford University Press, 2003).